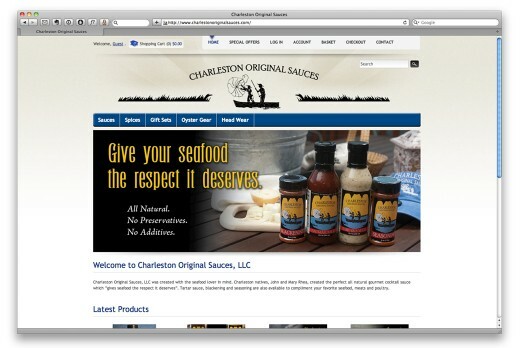 John and Mary Caroline Rhea with Charleston Original Sauces make some of the best seafood sauces and spices around! We built this full e-commerce website in about a week to meet a deadline for the the client’s participation in the Southeastern Wildlife Exposition in 2011. We also created product photography for the site and coupon postcards to hand out at the Exposition.